After a (sometimes fierce) debate about available systems for DeadRail on the Yahoo DeadRail Group, I decided to look and compare them for myself. This review only looks at systems that can be used for On30 and smaller scales. There are several Garden Railroading systems that use radio control and batteries but I am limiting this review to just systems that pertain to smaller scales. Unfortunately, I could not afford to purchase and test each system (as should and needs to be done). The following is a comparison of costs and features as listed on the manufacturer web sites. Some additional information has been gathered from personal observations at trade shows, feedback from the Yahoo DeadRail Group and the manufacturers themselves. I have tried to make this a completely unbiased look at the available systems. I welcome feedback and counter views. I also welcome any manufacturer that wishes to make their products available. I will conduct an unbiased review of any product I receive and make it available. The following contains a brief description with highlights of each system. At the end of the article is a table showing the list of systems with basic pricing information and technologies used. NOTE: The order of these products is completely random and does not reflect any kind of rating. Most of the DelTang products are designed and built by David Theunissen in England. David has making receivers since 2009 and is also known for his Radio Controlled model aircraft and products. David provided some personal insight on radio technology for this article. DelTang uses the same technology used in Radio Controlled Model Aircraft to create a system for radio controlled train operation. The end result is a robust system that is low cost and gets the job done. This is the most economical system I found but as such it lacks some advanced features like sound. The only required components are the throttle/transmitter and the receiver that fits within the locomotive. The low cost of the throttle can be lowered further by purchasing the kit and building it yourself. When it comes to battery size, volts determine speed, and choosing the number of cells can be a challenge when space is tight. All receivers operate down to 3V (typical single cell lipo) and some up to 18V. The Rx60 illustrated is a common choice. With most of the Rx6x receivers have been deliberately designed to have a wide range of voltages so that people don’t have to commit to a voltage/speed decision. Batteries are usually inexpensive so it’s an easy change if you get it wrong. Fewer cells also allow larger capacity and therefore longer run time between charging. Optimizing these factors helps make DeadRail more practical. Some setup needs to occur to run multiple locomotives. From the DelTang website: The receiver in the loco can only be controlled by a compatible transmitter. 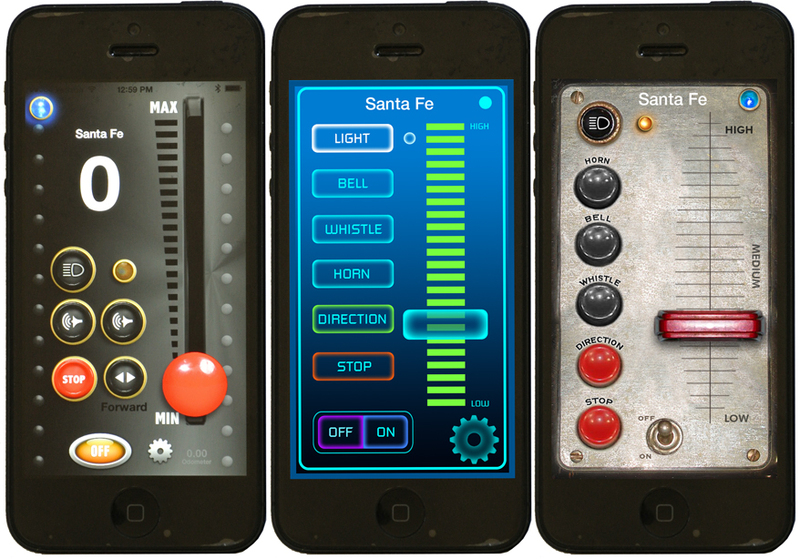 Many transmitters can be used simultaneously without frequency control or crystals. For this to work, every receiver needs to be paired with one transmitter in a process called binding. During binding, the transmitter’s unique ID (Guid) is given to the receiver. The receiver then only obeys that transmitter. The transmitter can share its Guid with any number of receivers. So one transmitter can control any number of trains. But they all receive the same signals so you normally only have one loco switched on at a time. 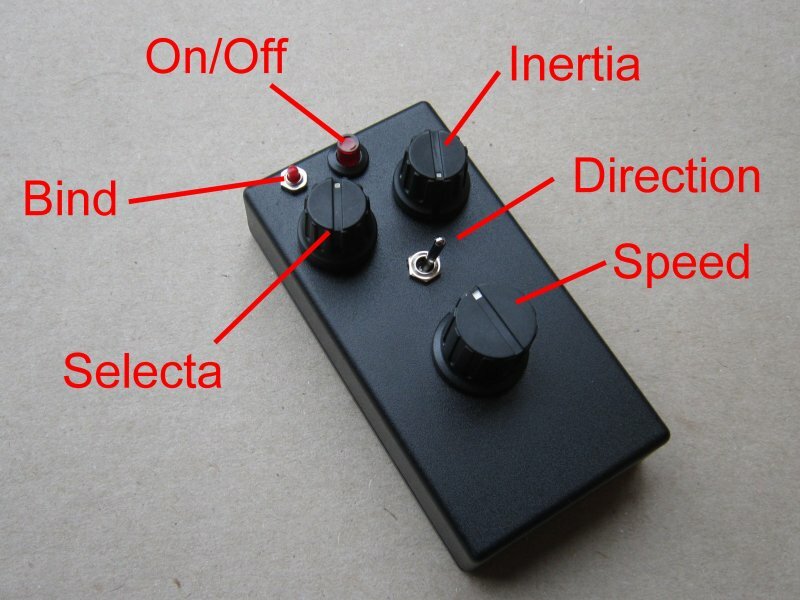 However, the DelTang Tx22 also has the Selecta ‘loco selector switch’. If used with Rx6x receivers, the receiver also learns the position of the Selecta switch during binding. This allows up to 12 locos (per Tx) to be switched on together and the Selecta switch controls which loco is currently active. The Selecta feature is available on all receivers with ’22’ in their name along with the Rx41d and Rx45. DelTang products use 2.4 Ghz for communication. Older generation radios can have issues with simultaneous transmitters and poor interference rejection. These issues can be relevant for club meetings and shows but sometimes at occur at home too. 2.4 GHz radios are a big step forward in addressing these issues. Objective assessment of what is best in the products shown here is beyond the scope of this article but these issues have been compelling enough for 2.4 to become the standard for plane/car/boat hobbyists. I have been told that DelTang can be made sound capable with external sound units and a customized throttle. It’s not on by default, and it will require some work, but it can be done. The system does not have the capacity for sound and is proprietary but as a low cost and robust system, it gets the job done. 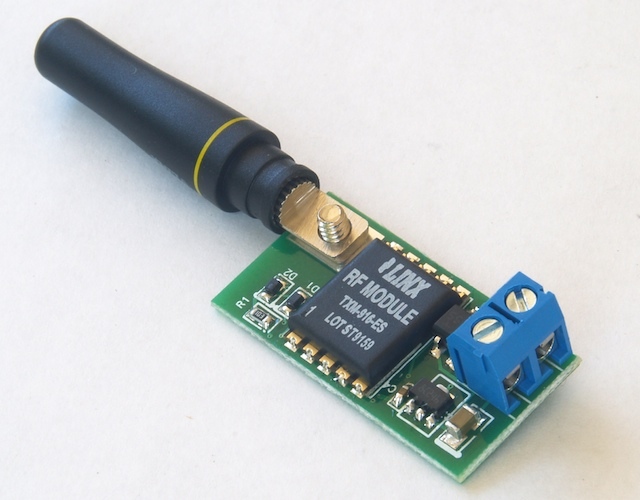 The Tam Valley DRS1 transmitters and receivers are designed to work with existing DCC systems. It allows you to keep your existing throttle, base unit and infrastructure and eliminate getting the power from the rails and use batteries instead. All that needs to be done is to install a DRS1 to the same wire that goes to your rail then install a DRS1 receiver with a battery and DCC decoder of your choice in your locomotive (do not forget to disconnect the rail pickups in the locomotive). Once this is complete you will be able to control your locomotives from your same DCC throttle on battery with all the same functionality that DCC provides plus the exceptional smooth operation batteries provide. Since the Tam Valley DRS1 works with DCC systems it allows complete flexibility in decoder selection and does not require learning a new system. The drawback to the system is that you must find room for two decoders within the locomotive. This drawback is quickly being overcome as decoder manufacturers are beginning to release new DCC decoders with the radio receiver built in such as the NEC D13DRJ – Dead Rail Decoder. According to the Tam Valley Web Site, a DRS1 Receiver can also be controlled with a CVP T5000 handheld transmitter. I have personally tested the Tam Valley System using JMRI and a SPROG. More information can be found in the prior articles DEADRAIL FOR FREE-MO and BATTERY AND WIRELESS CONTROL FOR HO SCALE. A low cost DCC system can be setup as shown in this article. CVP got their feet wet in large scale radio control products and have been producing products and Model Railroad Control Systems for 42 years. CVP is well know in the Model Railroading Industry having published many articles in Model Railroader Magazine. The AIRWIRE900 system is a remote control system for garden railroads as well as smaller scales like HO, S and O. You control trains with a small handheld controller. The manufacturer promotes the throttles as simple to learn and easy to use. Locomotives are selected by entering the locomotive’s cab number. Speed control is with a standard and familiar knob. Direction control changed by a push down on the speed knob. 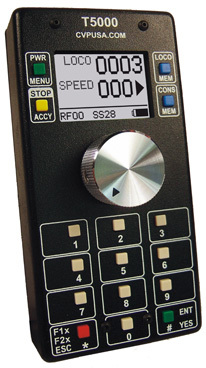 The T5000 throttle has a built-In DCC Decoder Programmer. 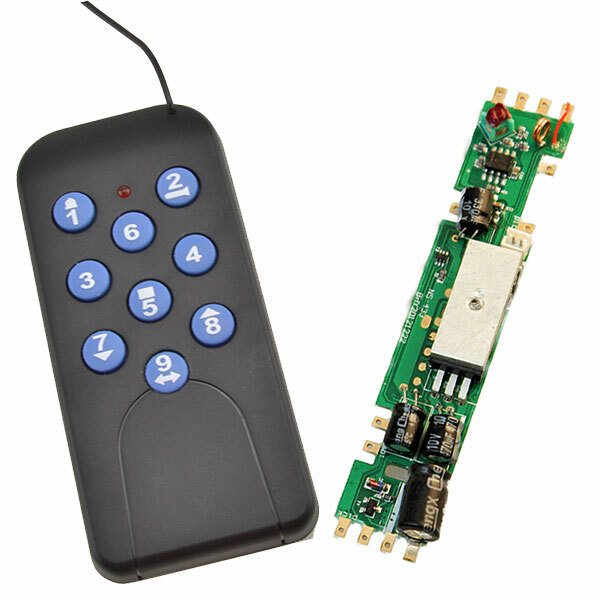 Any NMRA-DCC compatible decoder can be programmed when connected to the DCC outputs on the G3 motion decoder or the CONVRTR. The CONVRTR is a small receiver made for smaller scales like HO. The CONVRTR is protected against overloads, thermal runaway and short circuits. When paired with a sound decoder, the CONVRTR provides a unique feature that eliminates stuck horns. If the locomotive goes out of range of the throttle while the horn or whistle is blowing, the CONVRTR will automatically command the decoder to turn off the horn or whistle. Another version is available for brass locomotives called the CONVRTRX. 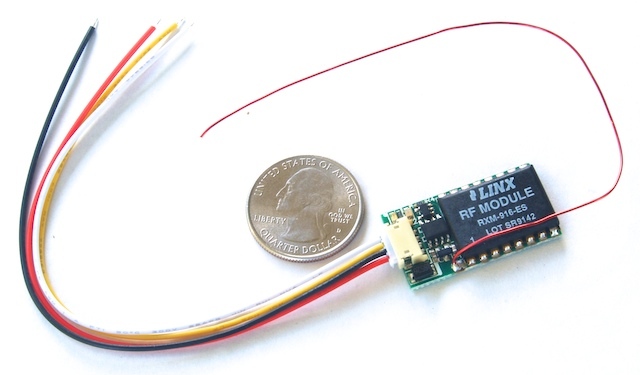 It has a radio module with a miniature whip antenna. Program all NMRA-DCC CVs from any of the 17 frequencies available from the throttle. The NEC D13DRJ – Dead Rail Decoder is listed as compatible with CVP products. CVP Products has a great wealth of information and data on their website. I recommend a review of all they have to offer. 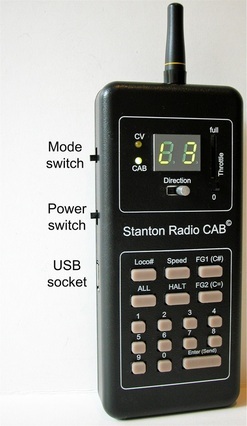 The Stanton Radio CAB (S-CAB Throttle) is a hand-held wireless controller for operating locomotives equipped with an S-CAB radio receiver and DCC decoder. No other DCC equipment is required. An S-CAB throttle sends DCC commands directly to a loco’s S-CAB radio receiver. The use of DCC from the receiver allows for great flexibility in the choice of decoder, but requires extra room in the locomotive for both the receiver and the the DCC decoder. The NEC D13DRJ – Dead Rail Decoder includes a radio receiver that works with S-CAB. The S-CAB website offers both NCE and Tsunami sound decoders with integrated radio receivers to save space. If you have a particular decoder you need, S-CAB may be able to integrate the receiver for your. Some decoders (like the QSI Titan-U) are already available on a special orders basis. A Starter Kit is available which includes: S-CAB Throttle, a USB cable (for battery charging), and an S-CAB receiver with choice of sound or non-sound decoder. The S-Cab starter set is very affordable and includes everything (even a decoder) to get you started right away. The S-CAB throttle can control up to 15 locomotives with decoder addresses from 1 to 99. It’s designed for one-handed use with slide throttle and direction switch arranged so a user can watch the layout while operating with the controller held, relaxed at arm’s length, by his/her side. There are no batteries to replace. S-CAB throttle includes a rechargeable battery, which can be recharged from any USB socket. S-CAB has done a very good job of providing detailed information and solutions for any foreseen drawbacks. They also offer battery solutions on the web site. Although not marketed as a DeadRail control system, the Freedom One Wireless control system can be powered by any DC source. Freedom One Wireless Sound for DC trains enables you to wirelessly control the throttle, direction, and sounds on a locomotive. The throttle includes an FM remote transmitter and a receiver/sound decoder with standard NMRA 8 pin plug and JST 9 pin socket. If using DC track power, you would set your power pack to top speed and run your locomotives with the supplied remote. The receiver measures 50mm x 17.6mm x 7mm. The operating range is approximately 12 feet. You can operate up to three DC sound & control module equipped trains on the same track at the same time. The supplied receiver (0001026 HO Diesel) includes 6 prime mover sounds (ALCO 244, 539T, EMD567, 645, 645E, 710), 22 horns and 8 bells. The Freedom One is pre-wired to 8 pin plug and comes with an enclosed speaker. Diesel sound is available now with steam in the near future. The receiver will accept a DCC signal from but not while using a DC or battery source. Several transmitters are available from MRC. Each remote is tied to each receiver on a separate frequency. Check the frequency type when purchasing to avoid issues. The receiver is not sold separately. Although Blue Rail Trains is not released at this time, the technology is much anticipated. The Bachmann version is designed for DC pickup from the rail. It is obvious that a person can substitute the rail pickup for battery. For that reason, the following is a quick update on Blue Rail Trains and some much anticipated images of the products. Blue Rail Trains is the first model train control that is based on direct control from any Bluetooth smart device (phone or tablet). Bachmann is currently building this technology into their E-Z App™ trains available in early September. 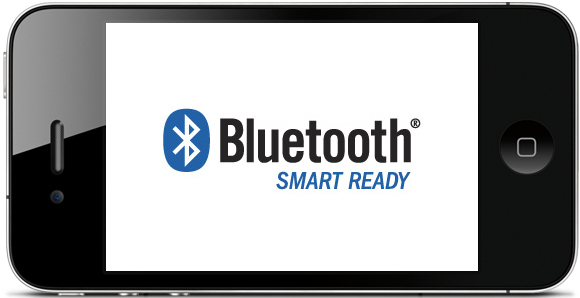 Concurrently Blue Rail is developing Bluetooth Smart plug-in boards that can be added to any 8 or 9 pin DCC-Ready loco (or any other loco, as long as you are willing to snip a few wires). The Blue Rail plugin boards contain connection points to hook up a battery and allow for the operation of unlimited locos simultaneously from over 100 feet (the signal strength also also suitable for brass). The firmware in the boards and the software control app are both fully updateable wirelessly, and the boards contain an expansion port intended for an eventual sound module (or other future add-ons). The battery connection points will not currently recharge batteries from track current (but that could potentially be supported). Blue Rail has a background in game development, and intend the system as a platform to develop apps that offer game-play, operating session simulation, and virtual layout interactivity. The first plug-in boards are scheduled to be released in September (concurrent with the Bachmann release) and will eventually be available in most scales. Pricing and board dimensions will be available soon (on the BlueRail website and facebook page), but the intent is to make the board pricing competitive with existing solutions. To use these boards you will need to own a Bluetooth Smart phone, ipod or tablet from the list on this page: http://www.bluetooth.com/Pages/Bluetooth-Smart-Devices-List.aspx. ² Cost of base equipment to get at least one train running. Does not include battery, DCC components, chargers or other accessories. If a starter set was available that cost was used. Thanks for putting this together. I’m starting to really come around to the idea of “dead rail” and peeking over the fence a bit more often to try and learn more about it and its benefits. I enjoyed the summary and comparison between systems.